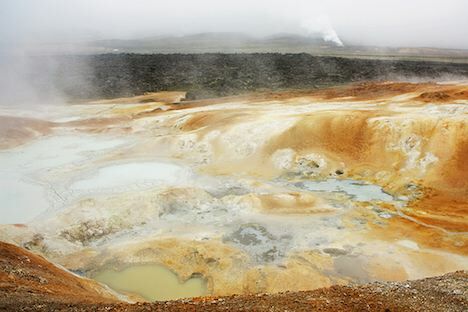 The UK government is currently considering the construction of a new high-voltage cable to connect Britain to Iceland’s vast geothermal energy resources. If approved, the plan would require the construction of 1,000 to 1,500 kilometres of cable between the countries 3,000 metres below sea level. The web of cables – called interconnectors – would provide the UK with a reliable source of renewable energy long into the future. UK Energy Minister Charles Hendry realizes the plan is ambitious. But if the UK hopes to achieve its energy goals over the coming years, it needs to think well-outside the box. Although the UK has been energy independent for most of its history, its gas and oil fields are dwindling and it needs to reduce carbon emissions. The construction of interconnectors is already taking place elsewhere in Europe. Britain is already linked with France and the Netherlands, providing a total capacity of about 3.5 GW. Another 9 GW are planned for linkages between the UK, Belgium, Norway, and Spain. In fact, the EU is well on its way to constructing a Europe-wide supergrid, which would connect wind and wave resources in the North with solar resources in the South. The first stages of the Desertec renewable energy network in Southern Europe and Northern Africa are already underway. Upon completion, the project could provide Europe with 15% of its power needs by 2050. What are your thoughts on the UK’s proposed interconnector between Britain and Iceland? Do you think the government will be able to finance a project of this magnitude? This would be money well spent, and a better use of funds than any plans to build high speed train networks or airports on the estuary. My only concern is how stable the prices of energy will be if we will have no regulation over the market.